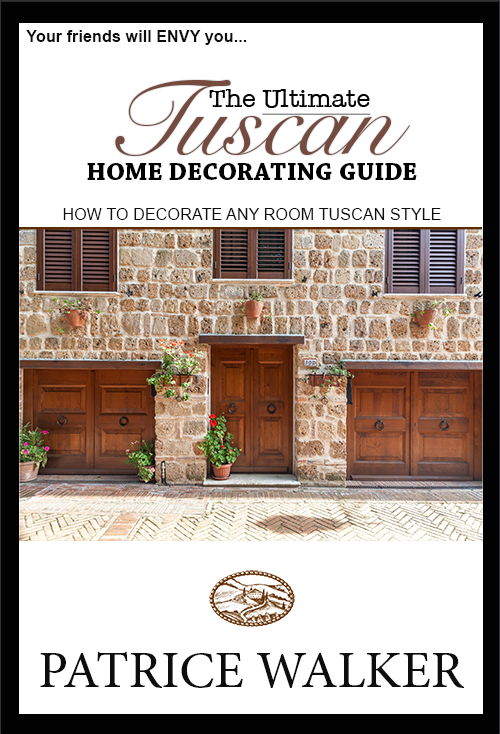 Enjoy Unlimited Lifetime Upgrades of The Ultimate Tuscan Home Decorating Guide. 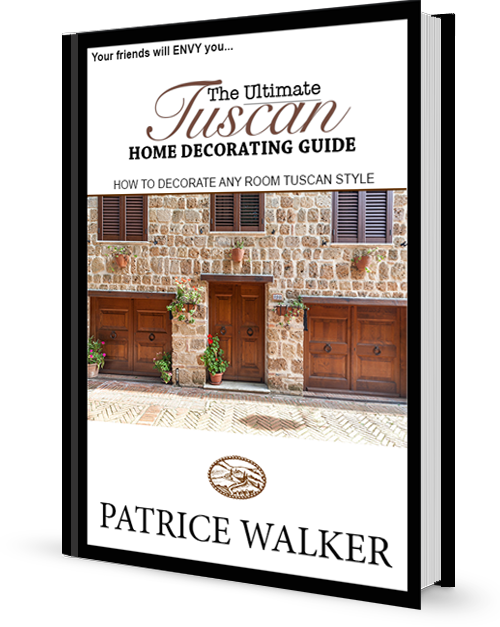 You'll get simple space planning templates and worksheets for step by step guidance to maximize clarity of your room's design potential. 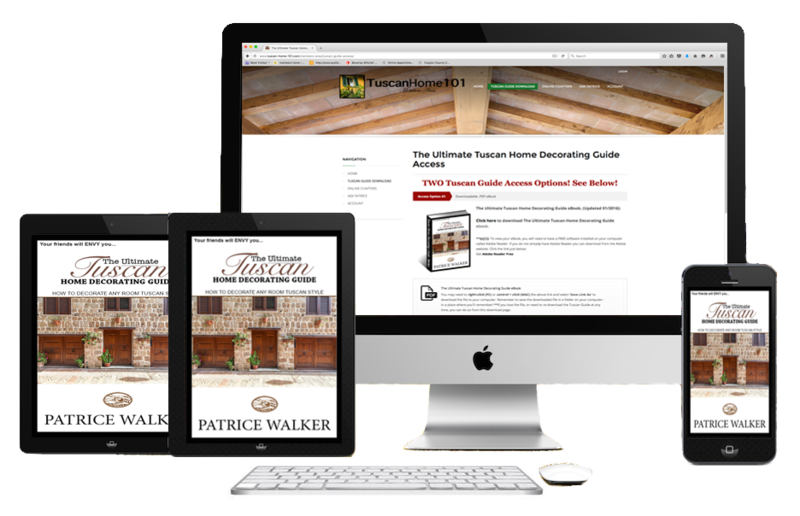 As a GOLD access member, you also have exclusive access to me and my design team, to help ensure a smooth Tuscan design project.